Separation Board: Firestone HD 1/2"
Firestone Building Products' SkyScape Vegetative Roof Systems are high-quality, easy-to-install systems that helps lower building heating and cooling costs, protests roofing material from UV and heat stress (thermal) degradation, and can even extend the working life of a roof system. Planting systems offered in Pregrown Modular, Extensive, Semi-Intensive and Intensive. 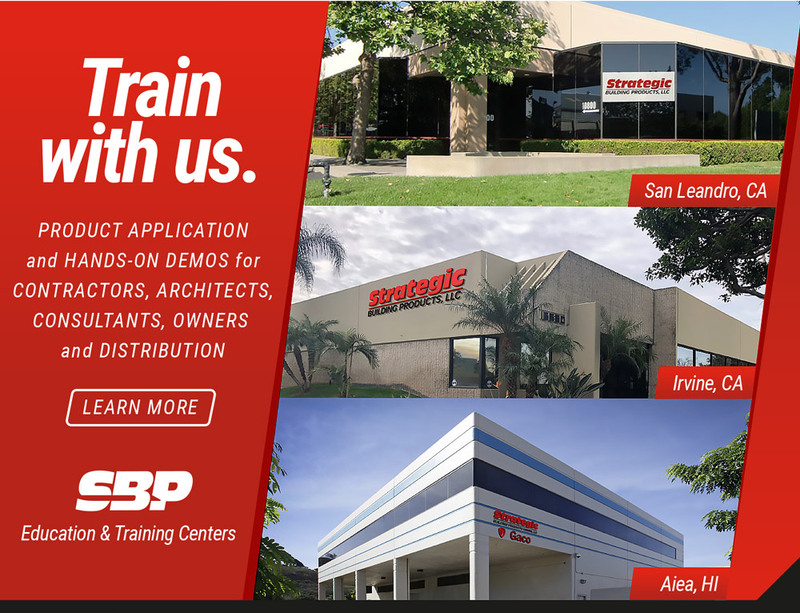 Since the early 1990s, Strategic Building Products has grown to be the West Coast's premier representative of commercial building envelope systems. Our representation of leading manufacturers of commercial building envelope systems includes Firestone Building Products, Firestone Metal Products, Gaco™, GenFlex, SkyScape™ Vegetative Roof Systems, SkyPaver paver systems, Georgia-Pacific DensDeck Roof Board, Kemper System, Metal-Era and SITURA Inc. Waterproof Expansion Joints for the West Coast.